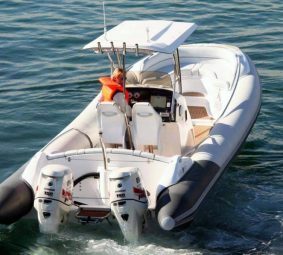 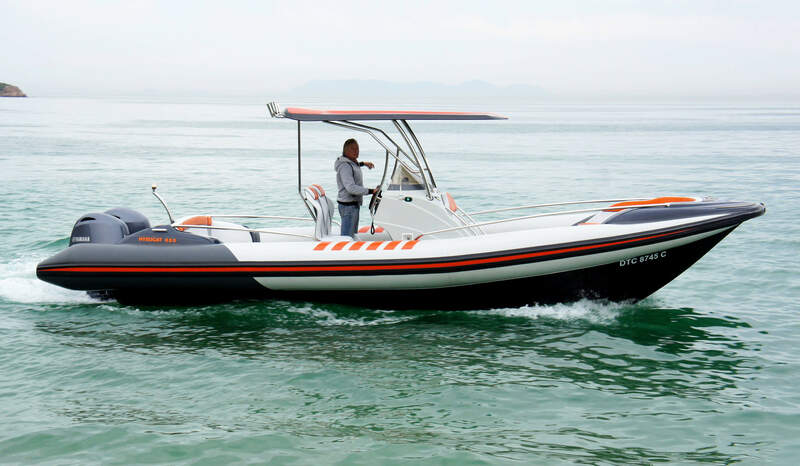 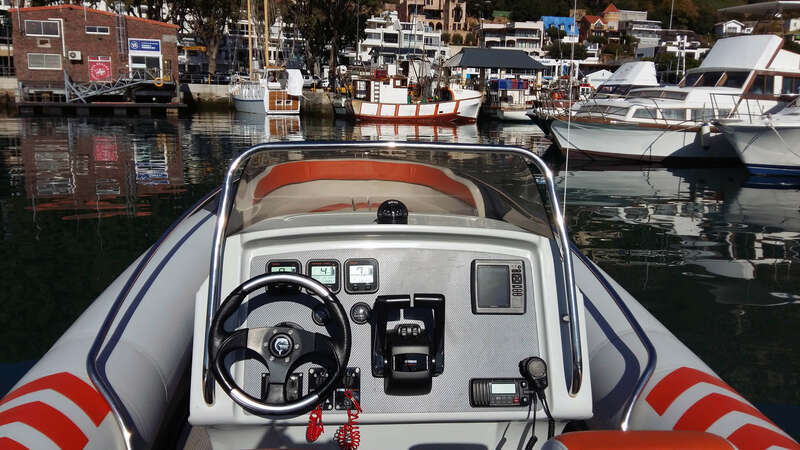 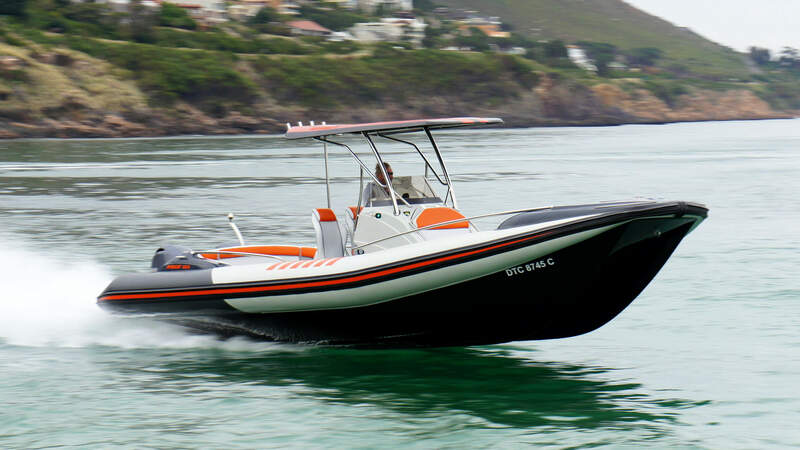 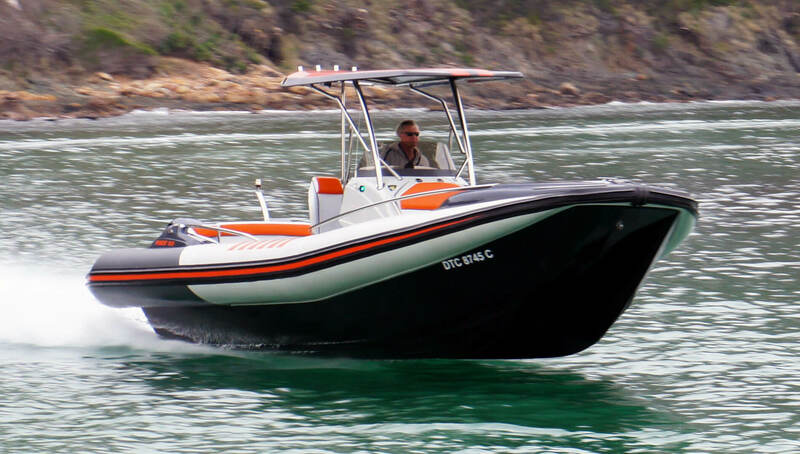 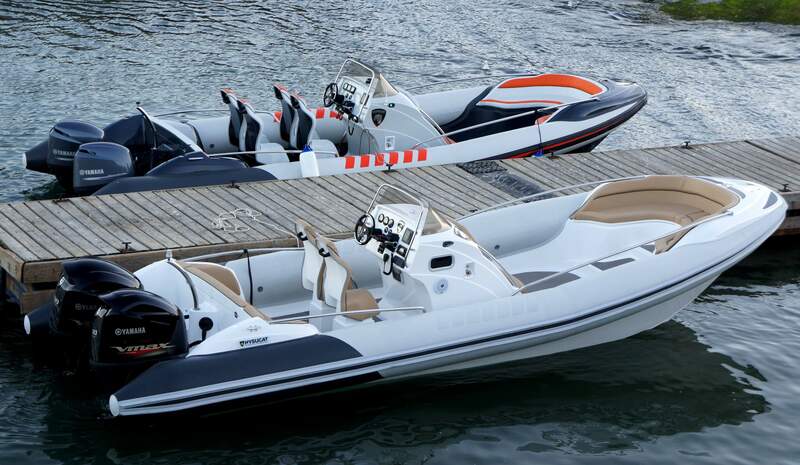 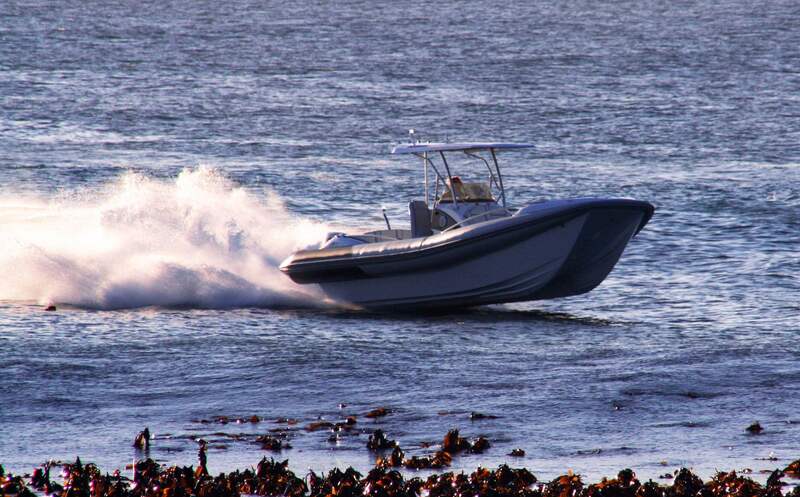 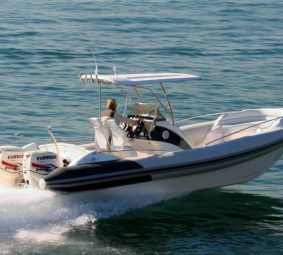 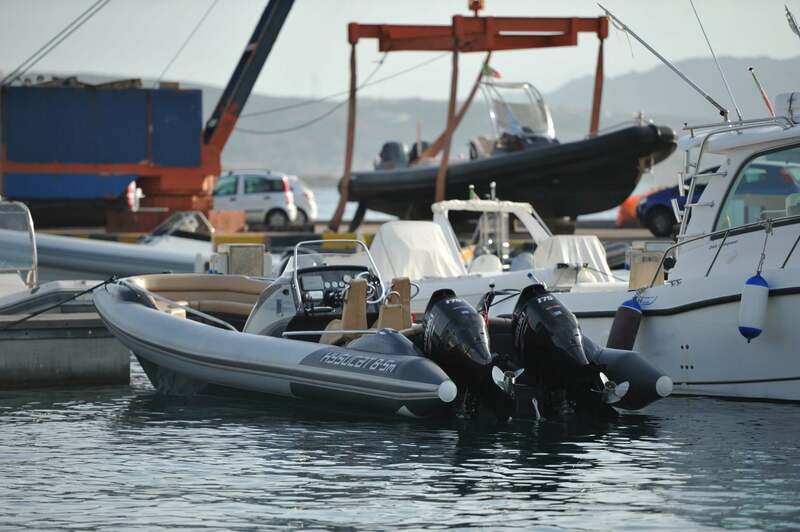 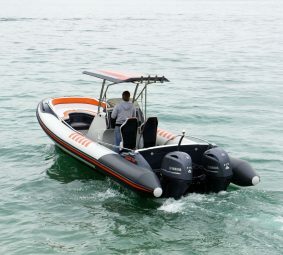 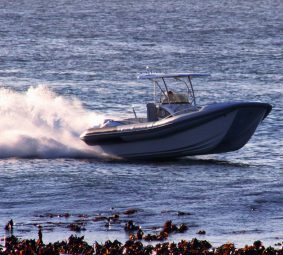 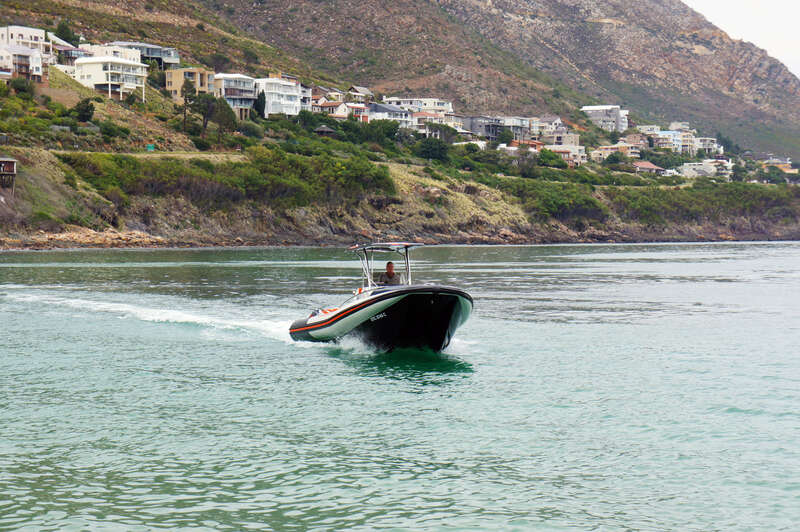 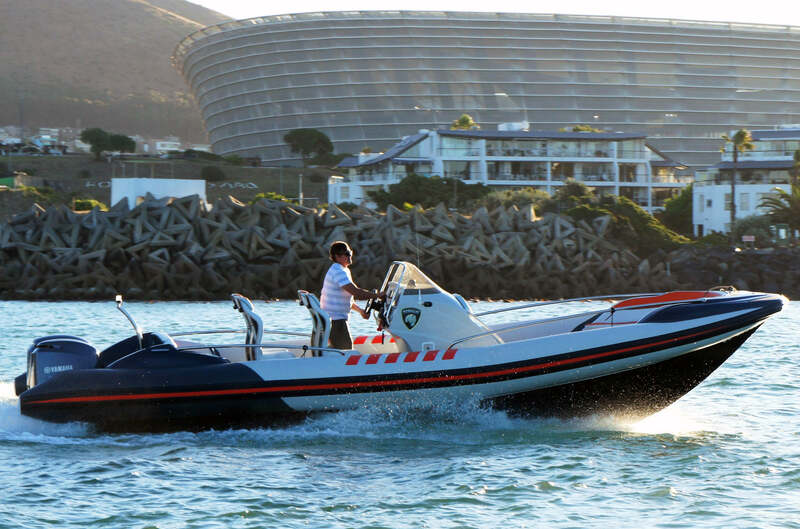 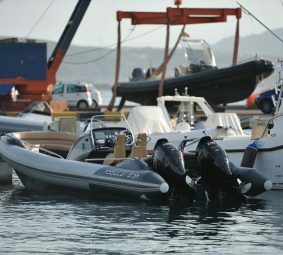 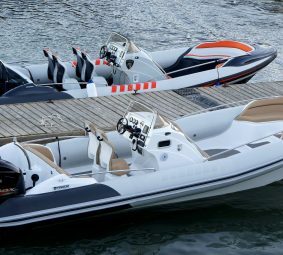 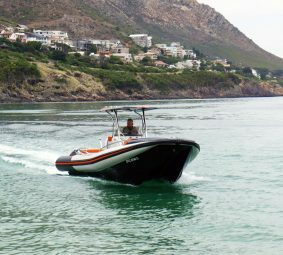 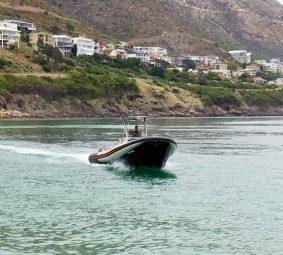 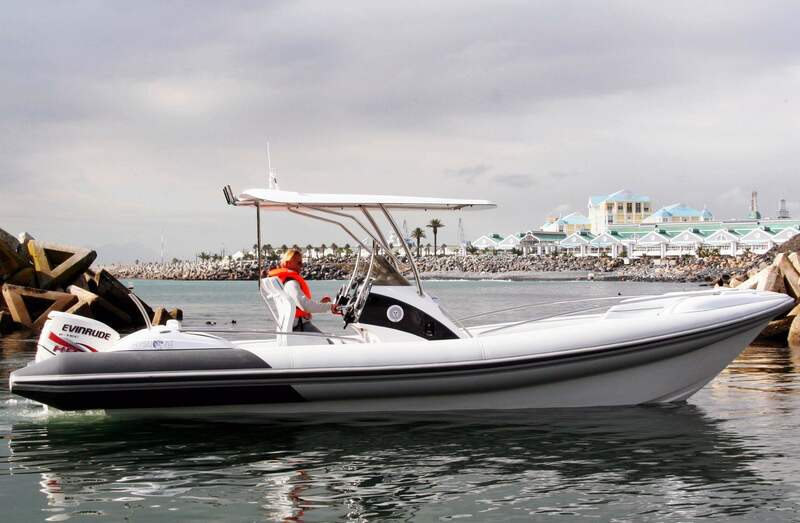 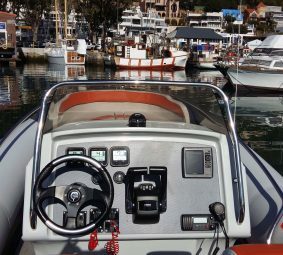 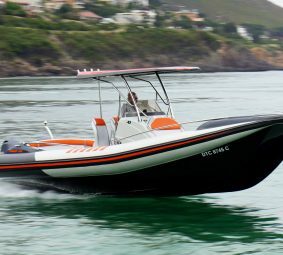 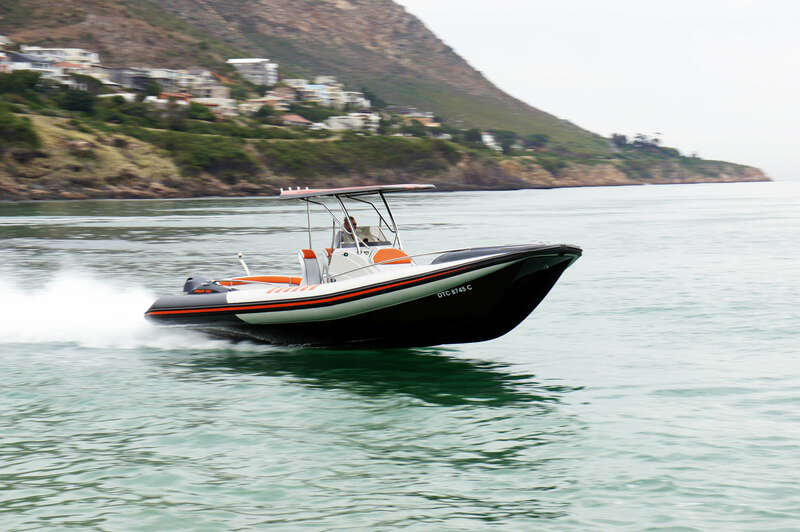 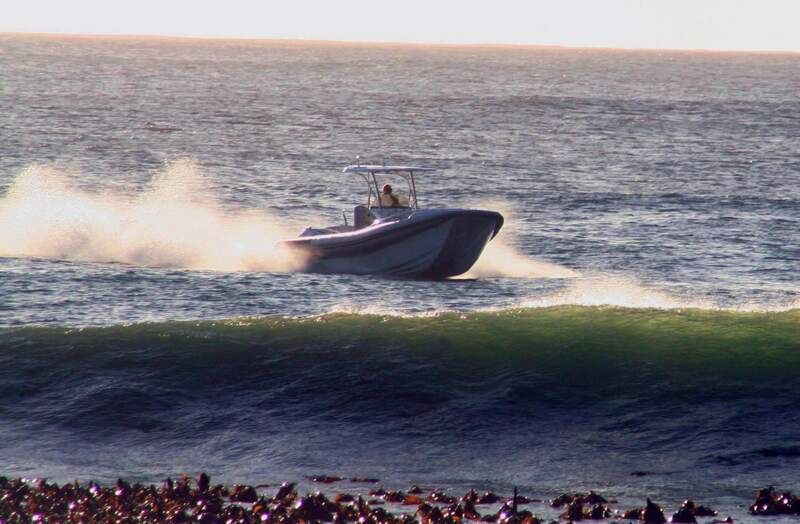 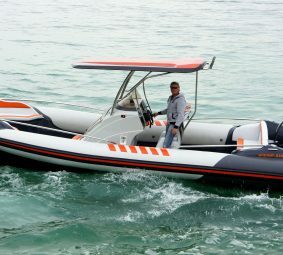 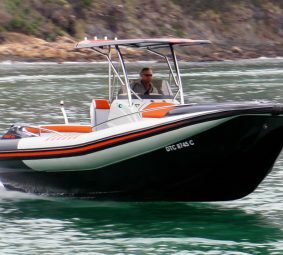 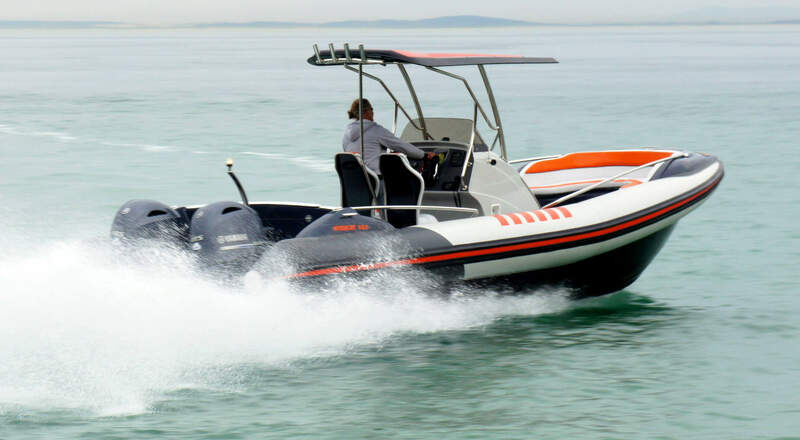 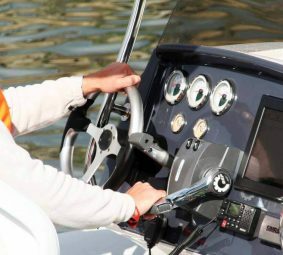 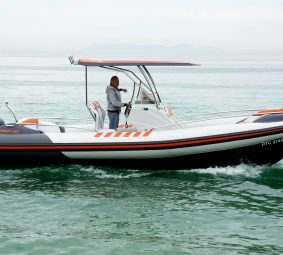 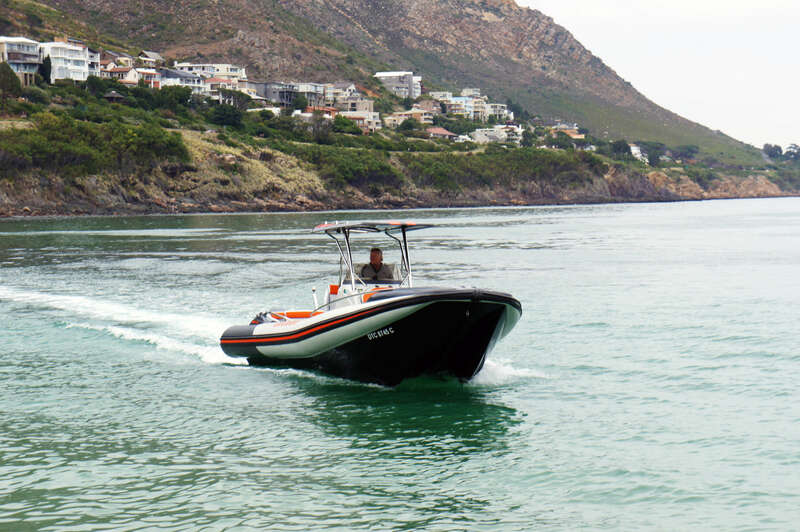 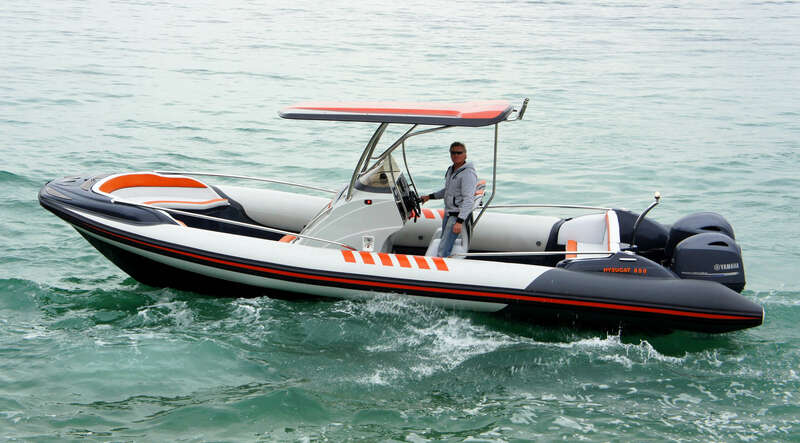 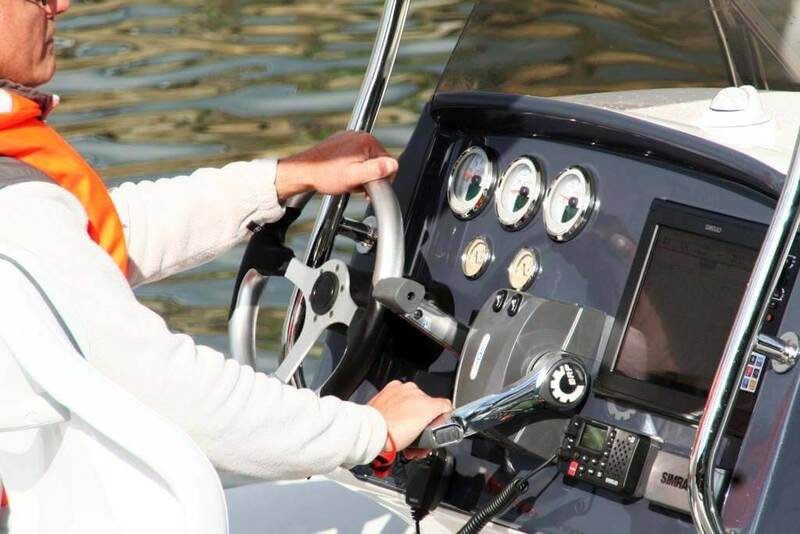 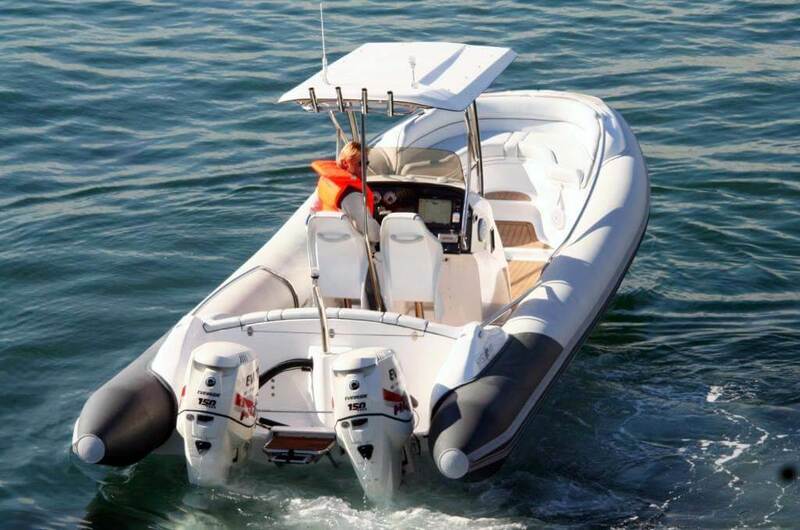 The advantages associated with Hysucat vessels remain unique to their extraordinary patented design, a concept that is equally evident in the 8.5 RIB. 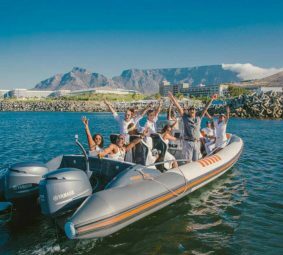 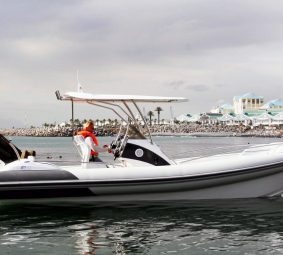 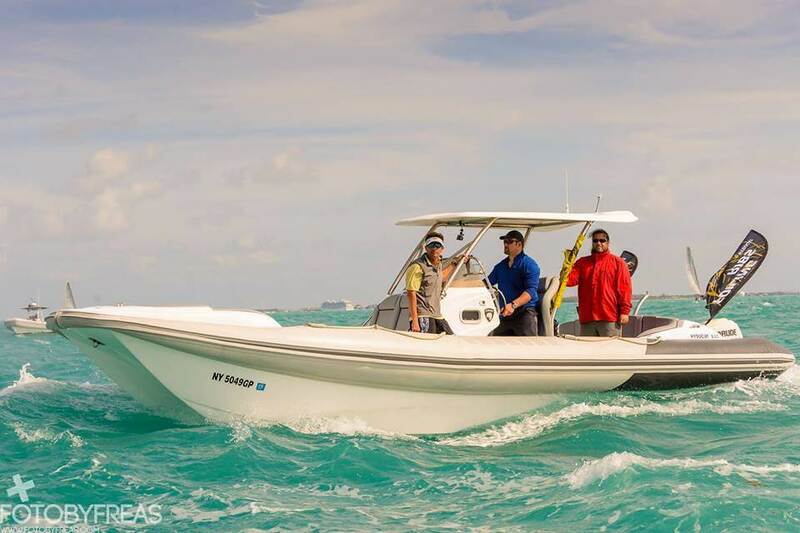 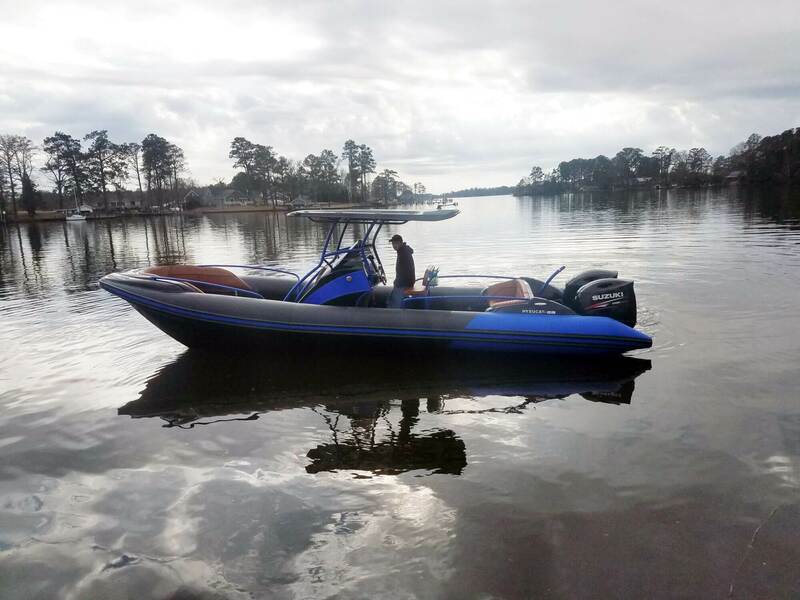 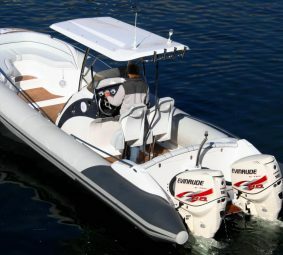 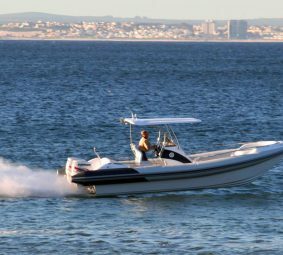 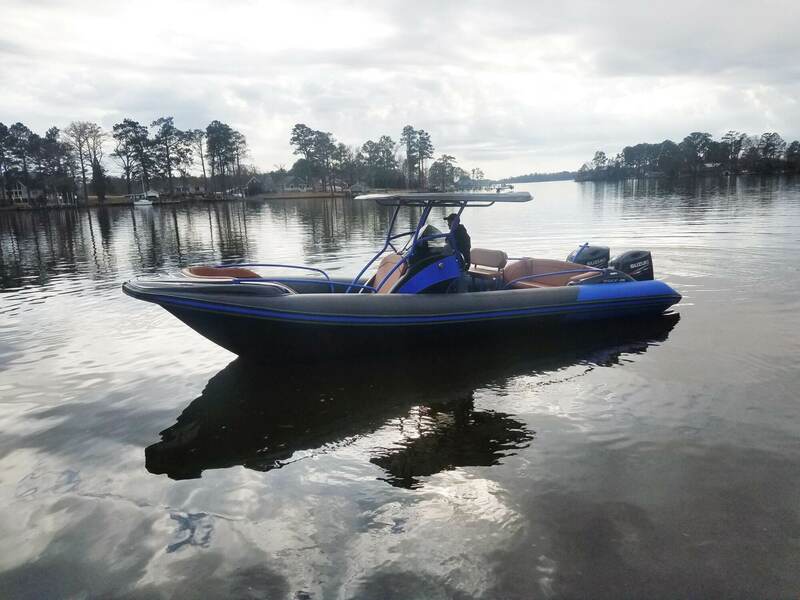 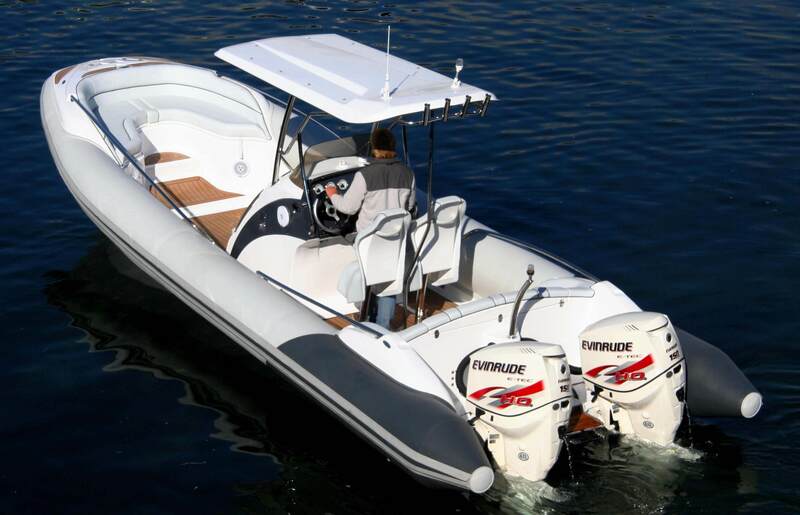 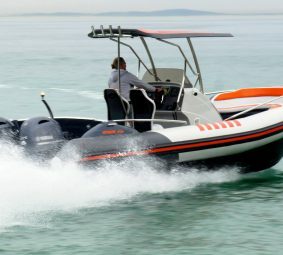 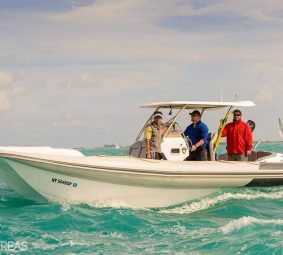 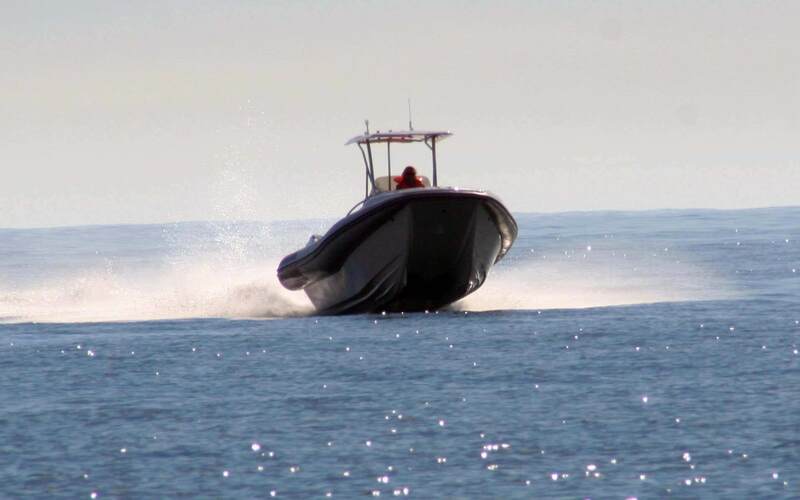 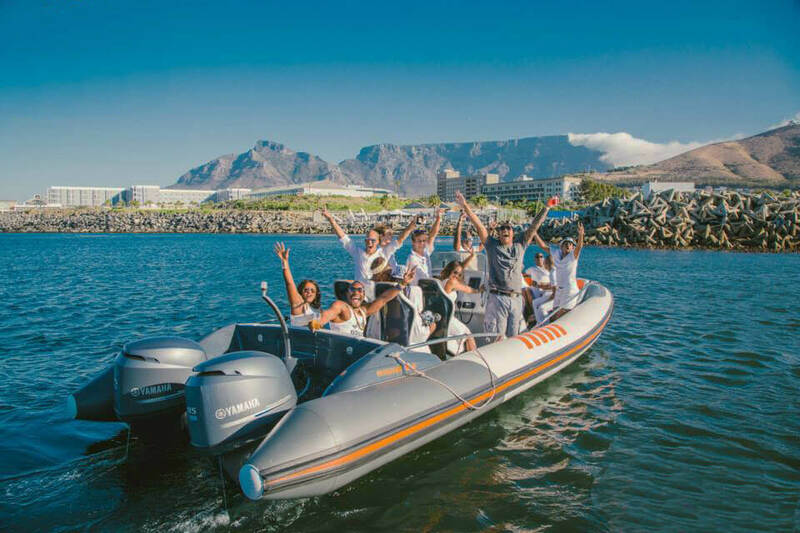 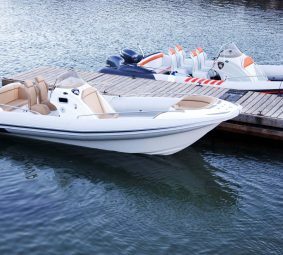 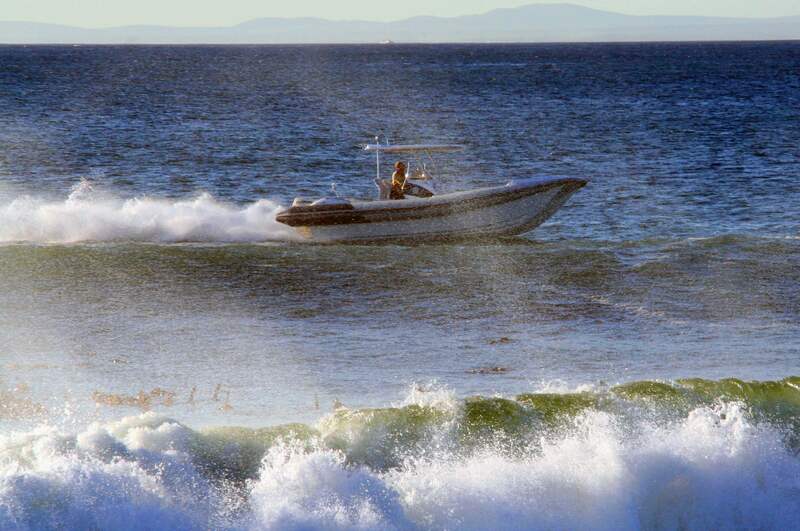 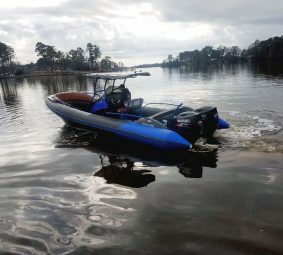 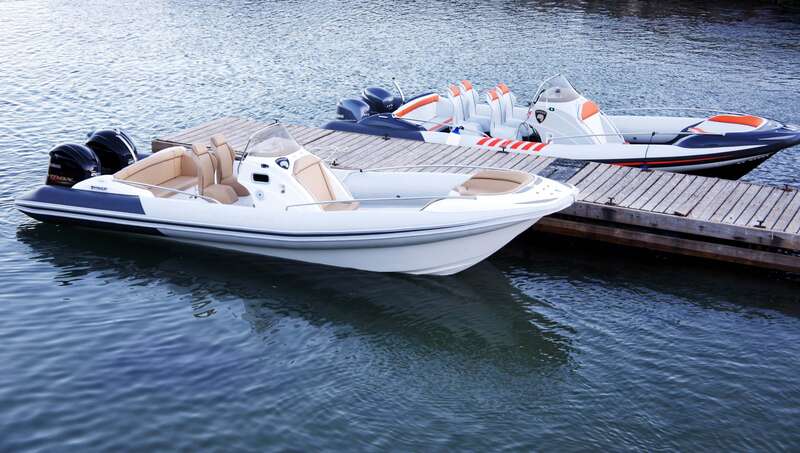 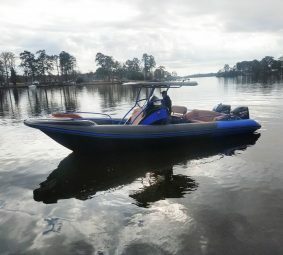 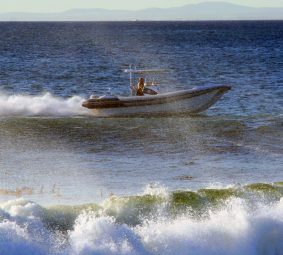 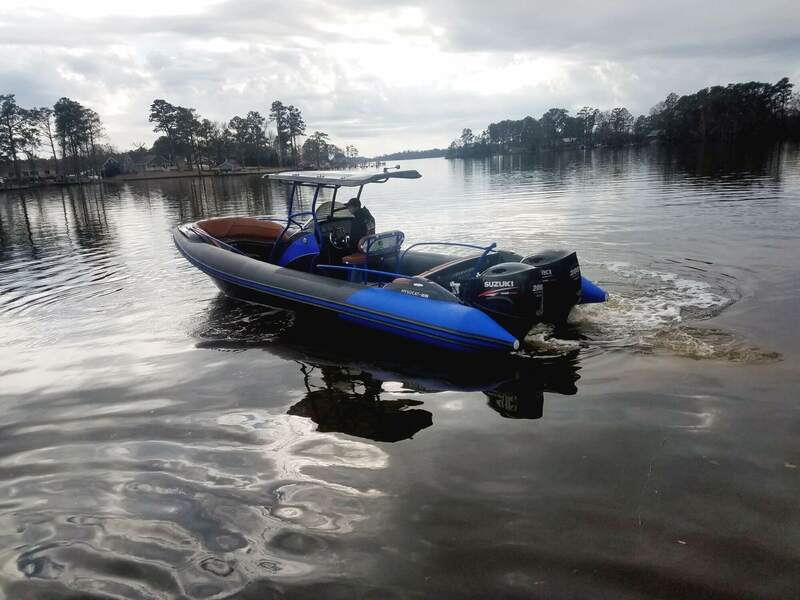 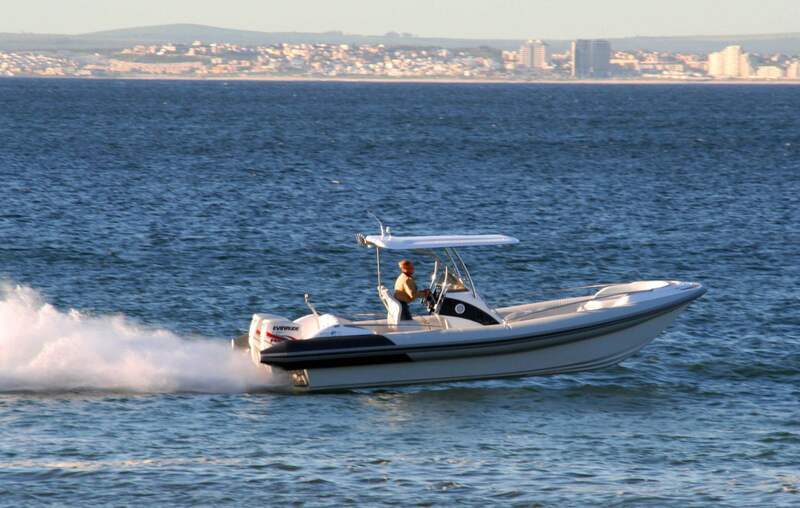 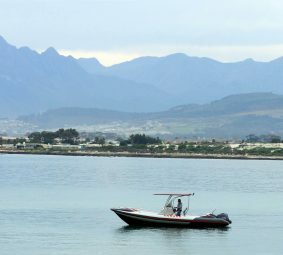 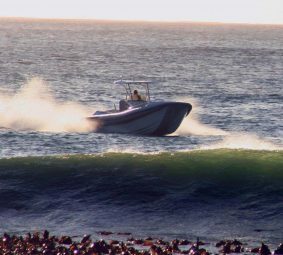 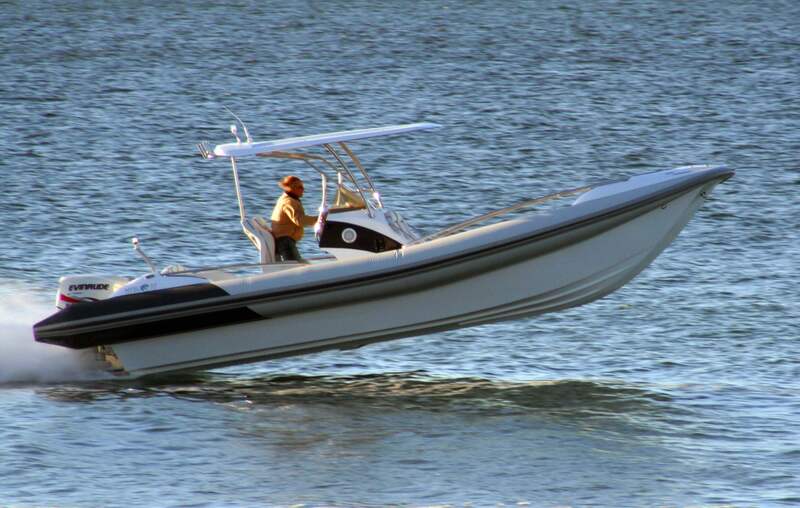 The 28 RIB offers key benefits and comforts that make it the perfect choice for clients in leisure/cruising, commercial/transportation, and government/military markets; contoured upholstery that provides comfortable seating and watertight lockers; a large, versatile modular deck area that allows for a variety of seating options with enough space for up to 14 people. 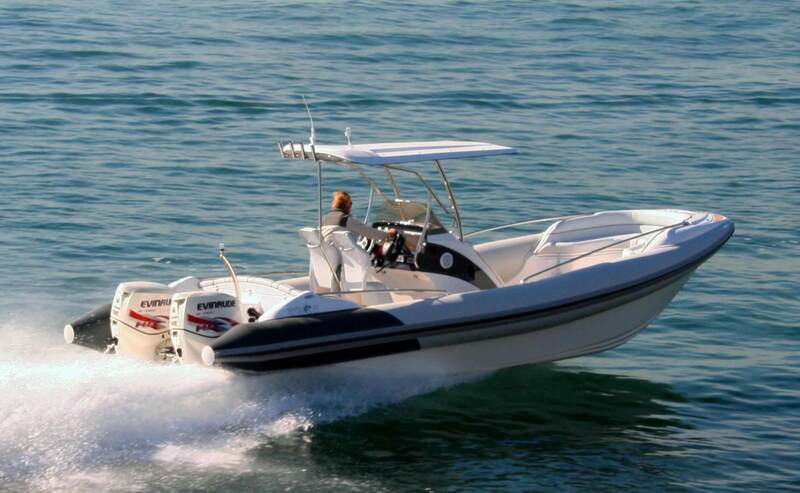 The technology at the core of the Hysucat brand also allows extreme high-speed operations in excess of 70 knots. 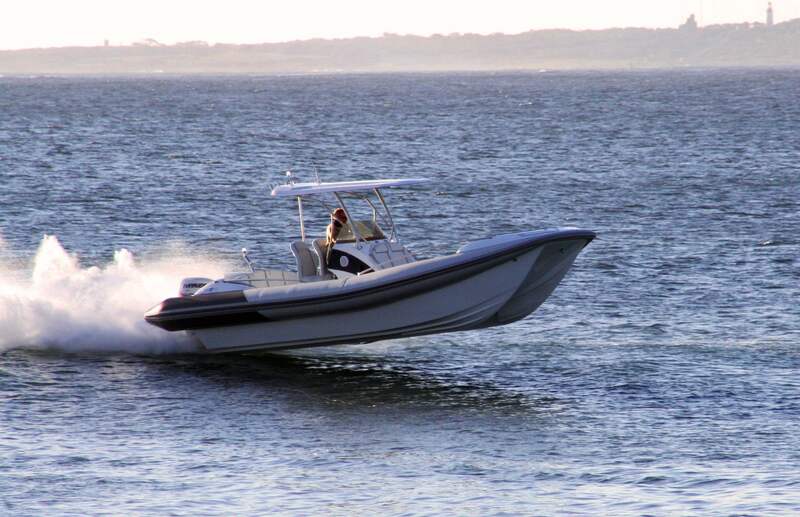 This is what makes this craft ideal for special naval operations and marine police coastal patrols. 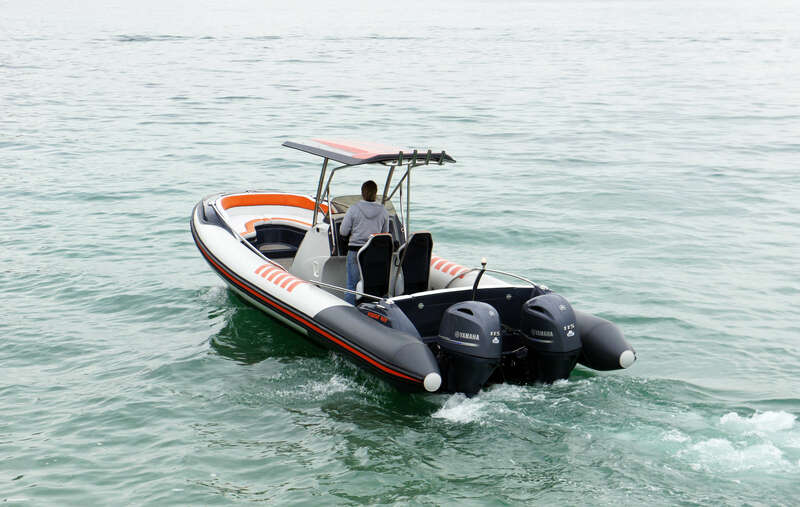 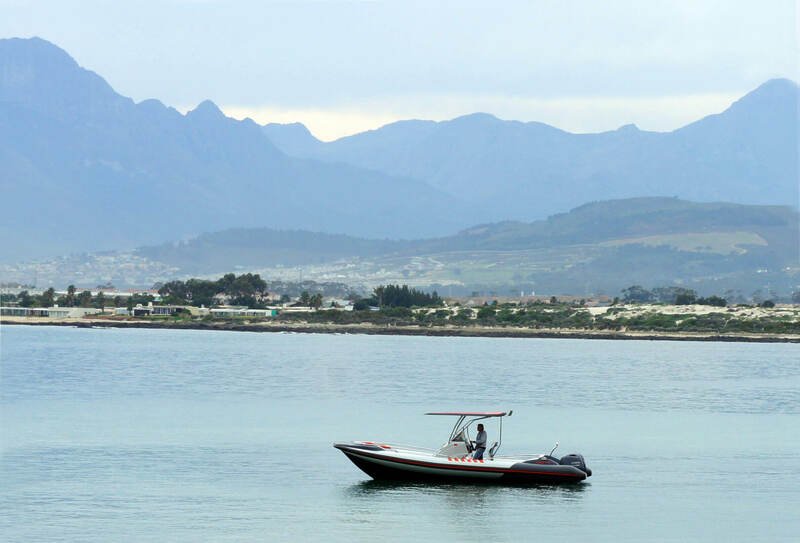 Its load-carrying capacity makes it perfect for water transport or taxi operations. 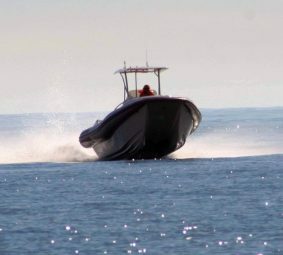 The hull of the 28 has the same Hysucat shape with fully asymmetrical demi-hulls connected by the double arc-tunnel with the ventilated tunnel step behind the bows. 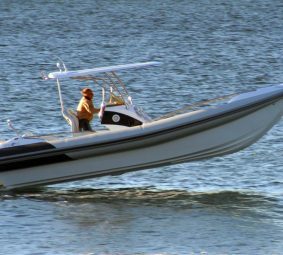 The foil system consists of a main foil slightly forward of the longitudinal center of gravity and twin rear foil struts near the transom on the tunnel vertical walls. 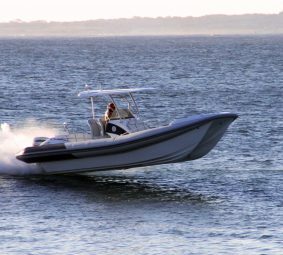 The foil system makes it possible to power up in any sea at full bore without the craft slamming, flying, or burying its nose. 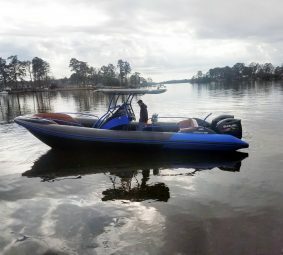 The ride is completely stable and safe. 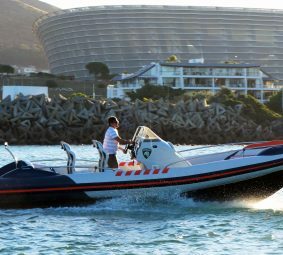 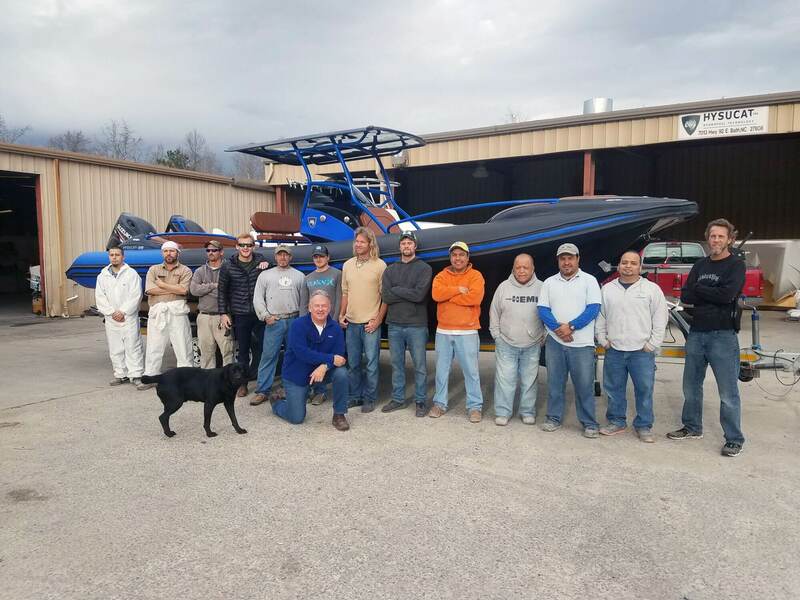 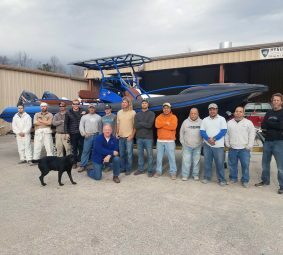 The involvement of Hysucat 28 RIB’s as the official chase-boat at the Louis Vuitton America’s Cup World Series prove again the amazing capabilities of the vessel. 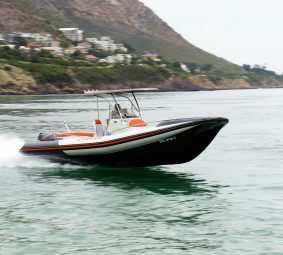 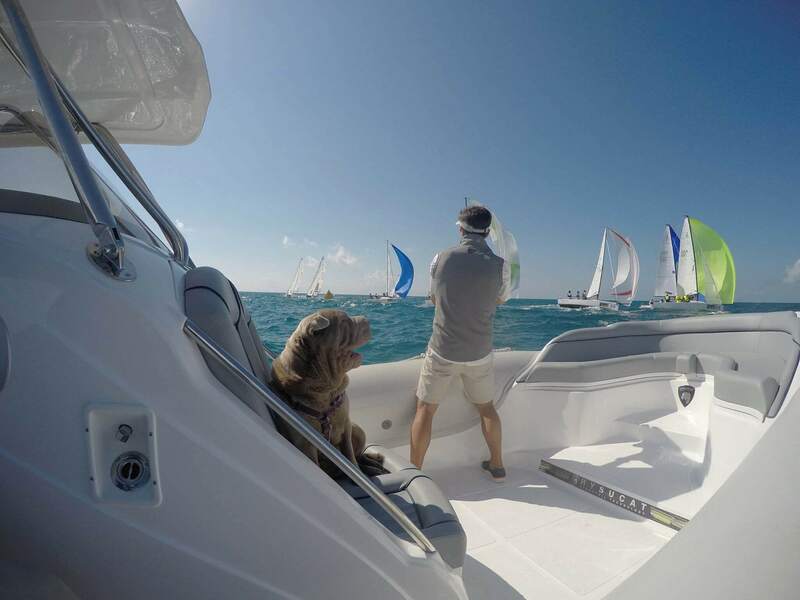 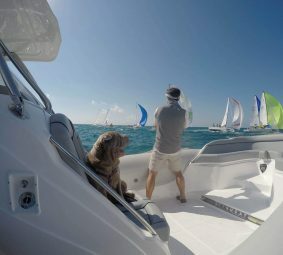 America’s Cup race officials chose the Hysucat over other RIB boats because the Hysucat is able to keep up with the catamarans in heavy chop while still giving a comfortable, safe ride that leaves little wake.